Post news Report RSS	S.O.R.S is launching on steam! This is it! After almost 2 years of effort, the final version of S.O.R.S is here! We've listened to feedback since we launched our first version last year, and we believe we've made the game even better. Have you got a steady hand? This equipment is sensitive, and every jerky movement you make will generate errors that make it harder for you to diagnose diseases! You can see in the gif below how the scanner reticle shakes when an error is generated. After some feedback about how the later game mechanics relied too much on luck (and lots of clicking) we made some alterations. We wanted to make them slightly different and also remove elements of luck, so we decided to introduce line graphs to the player! 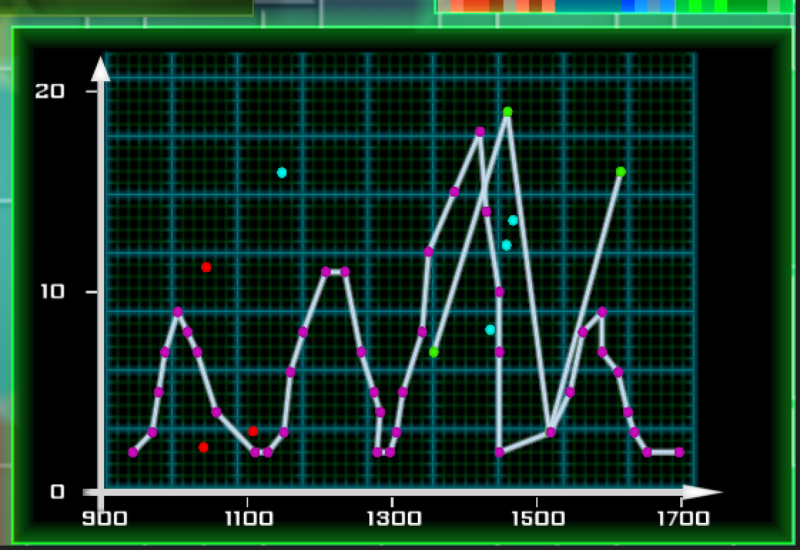 As you can see things can get pretty hairy with those line graphs on there too - they present a real challenge to the player and mean that to progress in the game you really have to master the basics. We also changed the way the coloured squares are used. Now you have to move the scanner over the patient to uncover shapes and diagnose cancer, but be quick, because the squares get covered up again quickly! We've added an endless mode so players can test their mental limits - how long can you save patients for before you slip up? And did we mention you only get a certain amount of time per patient?! We've also tidied up the fonts used so they're more consistent, and polished a few screens. If you like the look of S.O.R.S, why not check out our steam page? We hope you enjoy the game!